Shabu Shabu is a Japanese dish in which thinly sliced pieces of meat are cooked in a communal hot pot filled with tofu and vegetables and then dipped in flavorful sauces. 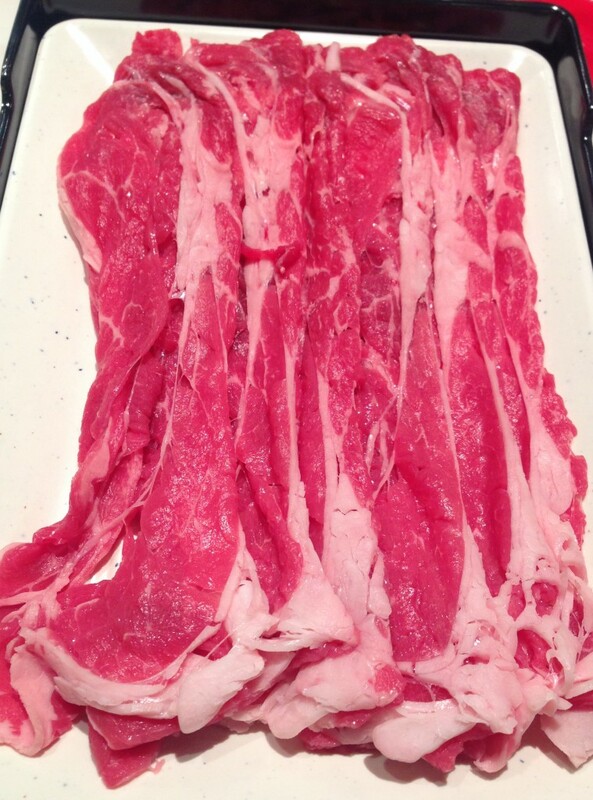 The name is derived from the sound the meat makes when being swirled in boiling water – shabu, shabu. Japanese company Kobe Bussan hopes New Yorkers will frequently hear that sound – and taste that meat – in early October when Shabu Shabu Kobe Midtown opens and serves authentic Japanese shabu shabu and izakaya-style dishes. On September 15 Kobe Bussan, which operates Shabu Shabu Kobe, held a press conference in its shiny new 6,100-square foot space on West 36th Street at Fifth Avenue. Kobe Bussan CEO Shoji Numata gave a brief overview of the company and fielded questions from an audience of mainly Japanese press. Joining him were Hirokazu Numata, President of Kobe Bussan, and Hideo Sugimoto, President of G.taste Co. Ltd.
Kobe Bussan was established in 1985 and currently runs 800 restaurants and 680 supermarkets, known as Gyomu Super, in Japan. According to Numata, the company opens one Gyomu Super every week. In addition to having its own farms, fishing ships and food processing plants in Japan and overseas, Kobe Bussan also works directly with 350 supply factories in more than 40 countries. They also cultivate wheat, watermelon, tomatoes and more on reclaimed desert in Egypt. After the 200-seat Shabu Shabu Kobe Midtown opens in October, Kobe Bussan’s plans are to open a 350-seat restaurant in Williamsburg next February, a restaurant and Gyomu Super on Wall Street next April, and a Brooklyn-based distribution center this December. 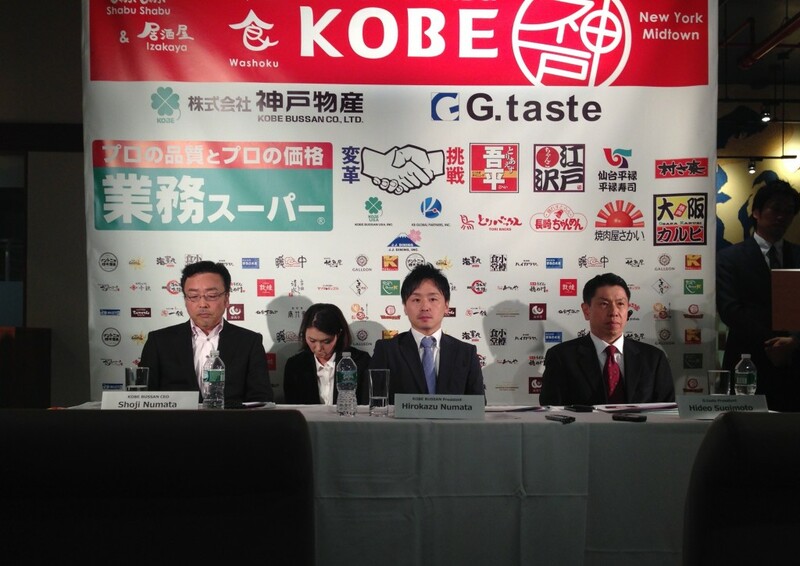 The goal for Kobe Bussan is to establish a restaurant franchise in the US as well as Europe. Kobe Bussan is more than a consortium of restaurants and grocery stores; they are expanding their business into power generation, developing solar and geothermal power. The intent is to harness the water from hot springs, which are plentiful in Japan, to generate electricity to operate agricultural greenhouses, producing clean and safe food that will promote Japanese washoku worldwide. Designated an Intangible Cultural Heritage by UNESCO last year, washoku embodies the traditional ingredients, style of preparation, and way of eating Japanese cuisine. Numata hopes that the opening of Shabu Shabu Kobe will open the eyes of New Yorkers, expanding our ideas of what defines washoku and Japanese cuisine. Numata also emphasizes that Shabu Shabu Kobe uses chilled – never frozen – aged beef, which Kobe Bussan sources in the US, and slices it thin with an original chilled slicer developed by the company. 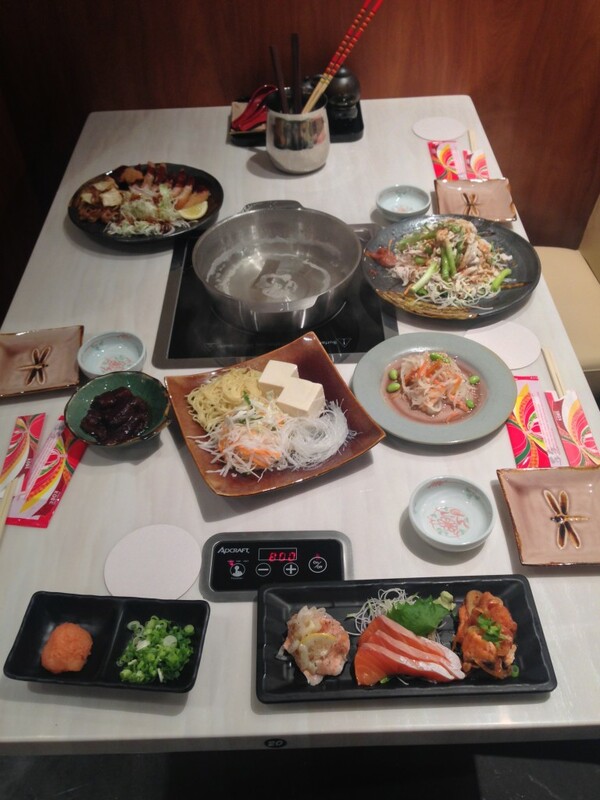 Guests will enjoy the flavors of Shabu Shabu Kobe’s meat and izakaya-style dishes, as well as the restaurant’s easy-to-control temperature devices on shiny tables with stainless steel cooktops. Numata expects New York customers to pay an average $10 for lunch and around $50 to $100 per person for dinner. Customers can expect to hear the swish of shabu shabu in a few weeks.